Home » Posts » Dentistry » periodontal disease » Gingival recession: which surgical treatment technique? Gingival recession results in the tooth root surface being expose due to displacement of the gingival margin below the cemento-enamel junction. This results in a deterioration of dental aesthetics and possibly dentine hypersensitivity. A wide range of surgical interventions has been used to treat gingival recession. The aim of this Cochrane review was to evaluate the efficacy of different root coverage procedures in the treatment of localised and multiple recession-type defects. 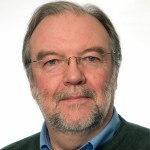 Searches were conducted in the Cochrane Oral Health’s Trials Register, the Cochrane Central Register of Controlled Trials (CENTRAL), the Cochrane Library, Medline, Embase, the US National Institutes of Health Ongoing Trials Register (ClinicalTrials.gov) and the World Health Organization International Clinical Trials Registry Platform with no restrictions on the language or date of publication. Randomised controlled trials (RCTs) of at least 6 months duration evaluating treatment of Miller’s class I or II gingival recession ≥ 3 mm using root coverage periodontal plastic surgery (RCPPS) were considered. The primary outcomes considered were patients’ opinion of aesthetic change, the number and percentage of site with complete root coverage and gingival recession depth change (mm). Two reviewers independently screened and selected studies and undertook data abstraction and risk of bias assessment. Continuous outcomes were reported as mean differences (MD) with 95% confidence intervals (CI) and dichotomous outcomes as odds ratios (OR) with 95%CI. The GRADE approach was used to assess the overall body of evidence for the main outcomes. 48 RCTs reported in 57 papers and involving a total of 1227 patients were included in this review. 28 RCTs used a split mouth design. 1 study was considered to be at low risk of bias, 35 at unclear risk and 12 at high risk. MD= -0.37 mm (95%CI; -0.60 to -0.13) P = 0.002; 3 studies; 98 participants; low-quality evidence. There was insufficient evidence of a difference in GR reduction between acellular dermal matrix grafts (ADMG) + CAF and SCTG + CAF or between enamel matrix protein (EMP) + CAF and SCTG + CAF. there was insufficient evidence of a difference between ADMG + CAF and SCTG + CAF or between EMP + CAF and SCTG + CAF. SCTG + CAF when compared to GTR rm + CAF (MD -1.77 mm; 95% CI -2.66 to -0.89, P < 0.0001; 3 studies; 98 participants; very low-quality evidence). There was insufficient evidence of a difference in keratinized tissue gain between ADMG + CAF and SCTG + CAF. Few data exist on aesthetic condition change related to patients’ opinion and patients’ preference for a specific procedure. Subepithelial connective tissue grafts, coronally advanced flap alone or associated with other biomaterial and guided tissue regeneration may be used as root coverage procedures for treating localised or multiple recession-type defects. The available evidence base indicates that in cases where both root coverage and gain in the width of keratinized tissue are expected, the use of subepithelial connective tissue grafts shows a slight improvement in outcome. There is also some weak evidence suggesting that acellular dermal matrix grafts appear as the soft tissue substitute that may provide the most similar outcomes to those achieved by subepithelial connective tissue grafts. RCTs are necessary to identify possible factors associated with the prognosis of each RCPPS procedure. The potential impact of bias on these outcomes is unclear. The review updates an earlier Cochrane review (Chambrone 2009). The update adds an additional 24 RCTs resulting in a change in the conclusions. 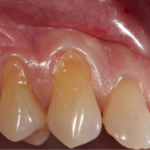 Overall the reviewers considered that most of the interventions resulted in some improvement in a reduction in gingival recession so could be used in clinical practice. However, the quality of the studies was low to very low, and a wide range of interventions were tested and there is uncertainty about which approach is best. The reviews primary outcome was the patients view of aesthetic improvement and only 10 studies reported on this outcome. Outcomes for a majority of the studies (80%) were for a 6-12 month period with only a limited number of studies reporting findings at intervals over 12 months. Further high quality research is needed to provide better information on the benefits from the various procedures. Chambrone L, Sukekava F, Araújo MG, Pustiglioni FE, Chambrone LA, Lima LA Root coverage procedures for the treatment of localised recession-type defects.Cochrane Database Syst Rev. 2009 Apr 15;(2):CD007161. doi: 10.1002/14651858.CD007161.pub2. Review. PubMed PMID: 19370675.